Officials say that dozens more “tender age” separated children aren’t immediately eligible to be reunified with their parents. Meanwhile, more than 2,000 children over the age of 5 remain separated ahead of a July 26 deadline to be reunited. 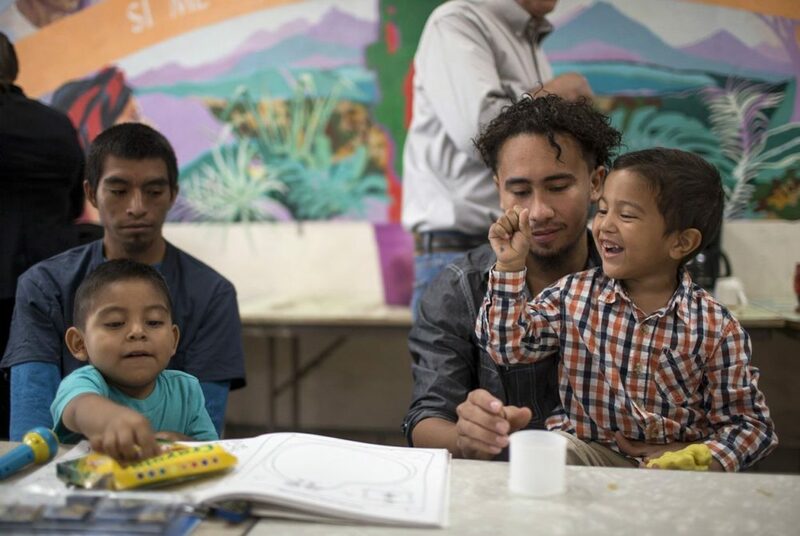 Pablo Ortiz and his 3-year-old son Andres and Roger and his 4-year-old Roger Jr., speak to the media during a press conference at the Annunciation House immigrant shelter in El Paso in July 2018 after being released by ICE. The federal government said Thursday morning that it has reunited 57 immigrant children under the age of 5 who had been separated from their parents after crossing the U.S.-Mexico border. In doing so, the government declared that its efforts to reunite “eligible children” in that age group complete. Those 57 children represent more than half of 103 “tender age” juveniles who had been identified as separated from their parents in a court case the American Civil Liberties Union filed against the government. The California judge in the case had ordered those children reunited by Tuesday. The rest of the children have been deemed ineligible for immediate reunification. More than 2,000 children over the age of 5 remain separated from their parents. The court has set a July 26 deadline for those children to be reunified. Of the kids under the age of 5 deemed ineligible for reunification, 12 have parents who were already deported by the U.S. government. Those parents “are being contacted,” according to a U.S. Department of Justice news release. 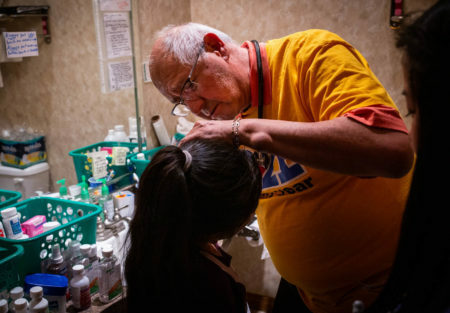 Another 22 were found to be ineligible for reunification due to safety concerns (most often because their parents had a serious criminal record), there were worries about abuse or the adults they were supposed to be reunified with weren’t their parents. Eleven children’s parents were also in custody for other alleged criminal offenses. And in one case, the government has lost track of the child’s parent for more than a year. 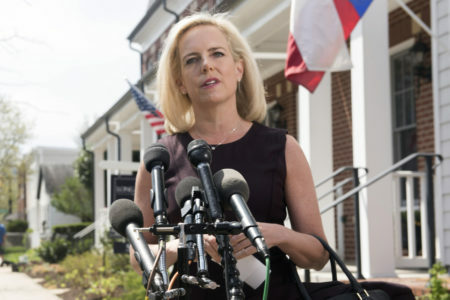 In a joint statement, U.S. Department of Health and Human Services Secretary Alex Azar, U.S. Department of Homeland Security Secretary Kirstjen Nielsen and U.S. Attorney General Jeff Sessions acknowledged that a “tremendous amount of hard work and obstacles” remain in the reunification process. “The Trump administration does not approach this mission lightly, and we intend to continue our good faith efforts to reunify families,” they said. Most families had been divided as part of the Trump administration’s now-reversed practice of separating them upon crossing the border illegally — though some had also been separated before the policy became official, and some had been separated after seeking asylum legally at official ports of entry into the United States. This week, families that have been reunified have been released from federal custody, given ankle monitors and ordered to appear back in court for their immigration proceedings. But government lawyers have indicated to the court that they might not continue that practice for long. 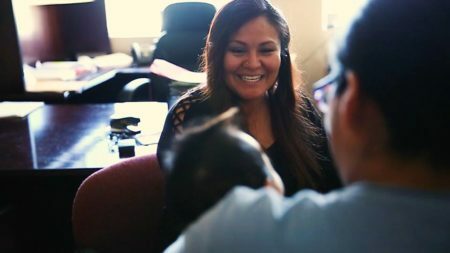 In the future, the government has indicated, officials might give the parents a choice: Agree to be detained with their child — and give up that child’s right to be released after 20 days — or release their child to the custody of the federal government. In their update on the reunification efforts, the three cabinet secretaries defended the Trump administration’s handling of the family separations. “The American people gave this administration a mandate to end the lawlessness at the border, and President Trump is keeping his promise to do exactly that. Our message has been clear all along: Do not risk your own life or the life of your child by attempting to enter the United States illegally. Apply lawfully and wait your turn,” they said in their joint statement. 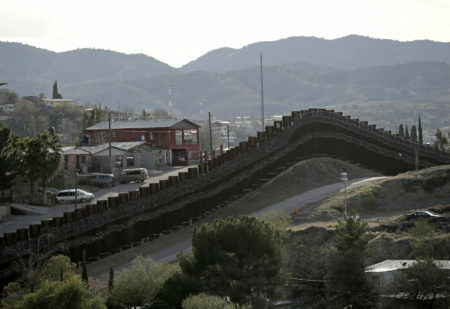 “The American immigration system is the most generous in the world, but we are a nation of laws and we intend to continue enforcing those laws,” they said.